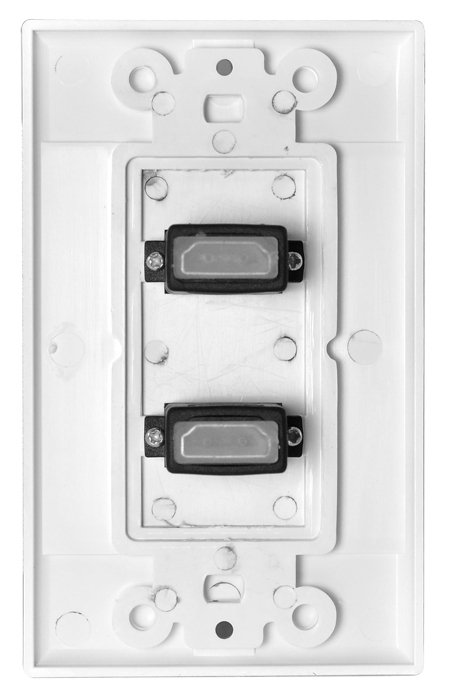 For cleaning up HDMI cables and sending strong HDMI signals to 2 devices, the Dual Port HDMI Decora Wall Plate is ideal. You can use it with a flat-panel HDTV and a projector or some other HDMI device. 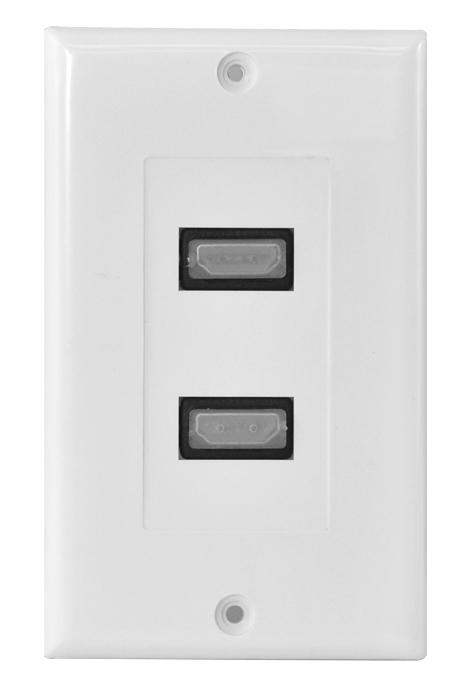 These double HDMI wall plates have a sleek appearance that blends into any de´cor without standing out. 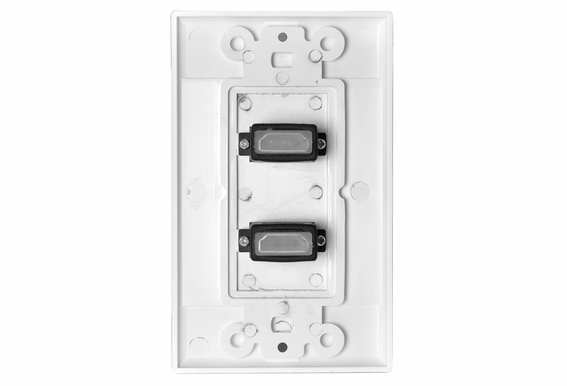 If you're wondering how to install HDMI wall plate units, it's very easy. 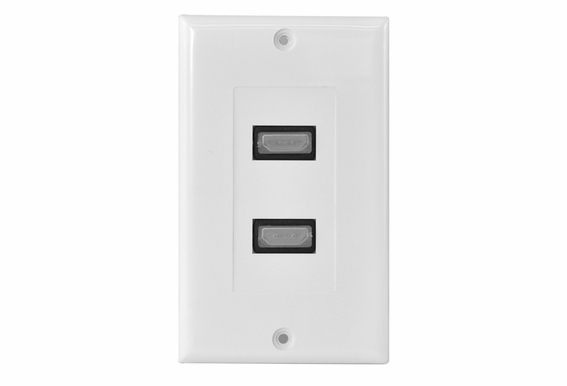 This dual HDMI wall plate is easy to install, as it fits right into a standard single-gang J-Box or P-Ring. These HDMI Decora plates include 2 dual female HDMI terminals (front and rear) and can accept standard HDMI cable on both sides. Outdoor Speaker Depot is your one-stop shopping source for your home entertainment equipment and high performance audio products. This Dual Port HDMI wall plate lets you send high-quality HDMI signals to two devices such as a flat-panel HDTV and a projector. Easy to install, it also includes two female HDMI terminals.